plants, shade lovers . . . these guys all enjoy being released from the confines of their containers into real dirt when spring is springing. I’ll water them during planting and keep doing so as they need it through spring, summer, and fall until the rains begin. But . 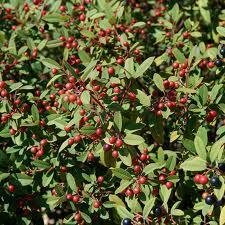 . . and I hate to say this because I don’t want to convey anything but complete enthusiasm for native gardening . 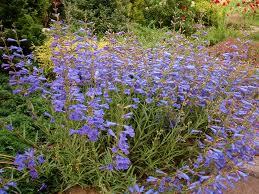 . . I’m trying not to plant super drought tolerant California native plants now. Excellent dryland plants such as Ceanothus, White Manzanita, Foothill Penstemon, and Canyon Live Oak deserve to be in the garden, but will reward you with their best vitality if you wait until fall to plant them. Here’s why. The natives that grow on hot, dry sites have evolved to thrive in our summers without supplemental water. To do this, they require well developed root systems. Their root systems do not like to be watered in the summers; the most drought tolerant species are actually prone to dying if they receive summer water. So, the best way to ensure their health is to water them well at planting and then leave them alone. No water, no fertilizer. If I try to plant super drought tolerant natives now, with summer just around the corner, chances are much lower that they will be able to grow enough roots to allow them to survive unwatered until the rains come. If I just can’t help myself and irrigate them, they might survive. Or, the combination of water and warm soil may cause them to develop fungal root disease. I’d prefer to wait until fall to plant these beauties. If I get them in the ground in October or November, before the rains start in earnest, they will have all winter and spring to grow those essential roots. By next summer, they’ll be ready for drought. If it’s a dry spring, I’ll water them before the weather starts heating up to help them establish and ‘charge’ the soil. But, once it gets hot, I’ll turn the water off . And the success rate will be much higher than it would have been if I’d given in to the temptation to plant right now, in this beautiful spring weather. The beauty and satisfaction of using the most appropriate plants for our environment is worth waiting for the right planting time. Plants should be the last thing to go into a landscape, whether they are our wonderful drought tolerant natives or not. Next post, I’ll share ideas on sequencing the installation of a new landscape. This entry was posted in Uncategorized and tagged California native plants, drought tolerant native plants, dryland California native plants, fall planting, garden design chico, gardening blog, gardening with native plants, Landscape Architect Chico on May 16, 2011 by admin.